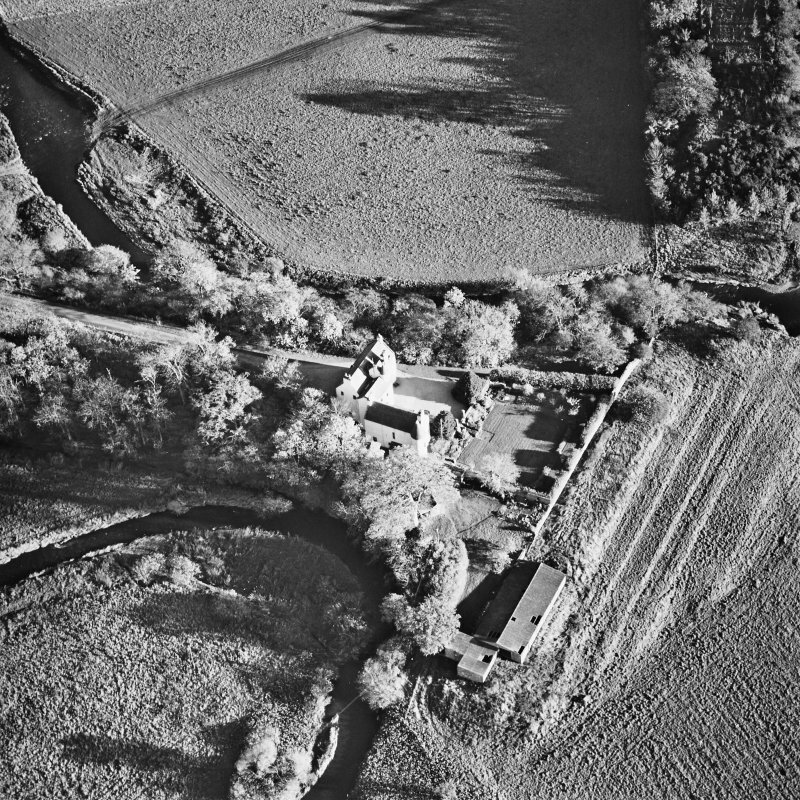 Oblique aerial view centred on the tower-house, taken from the SE. 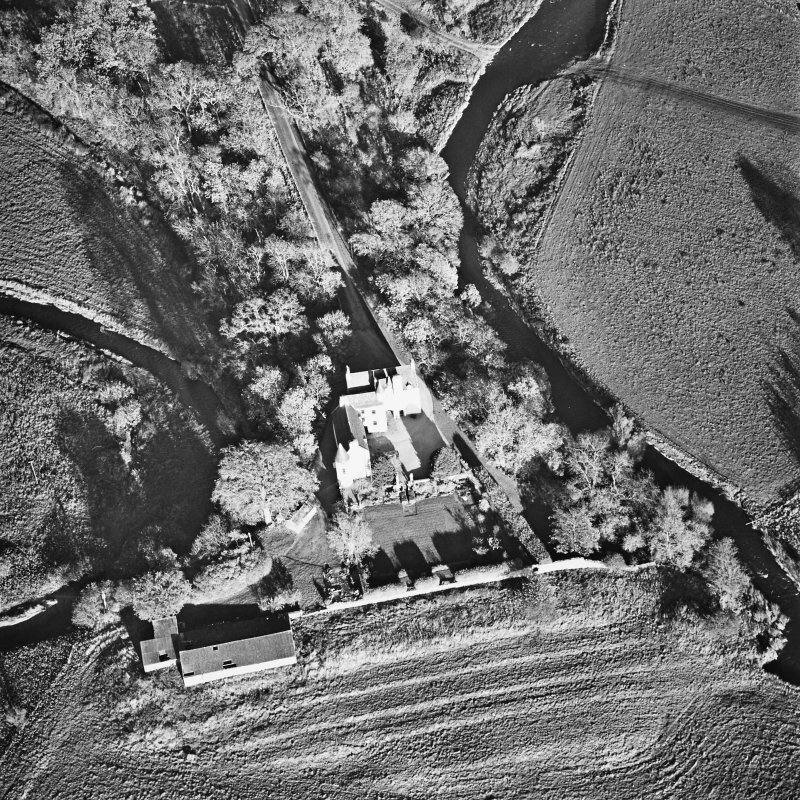 Oblique aerial view centred on the tower-house, taken from the NW. 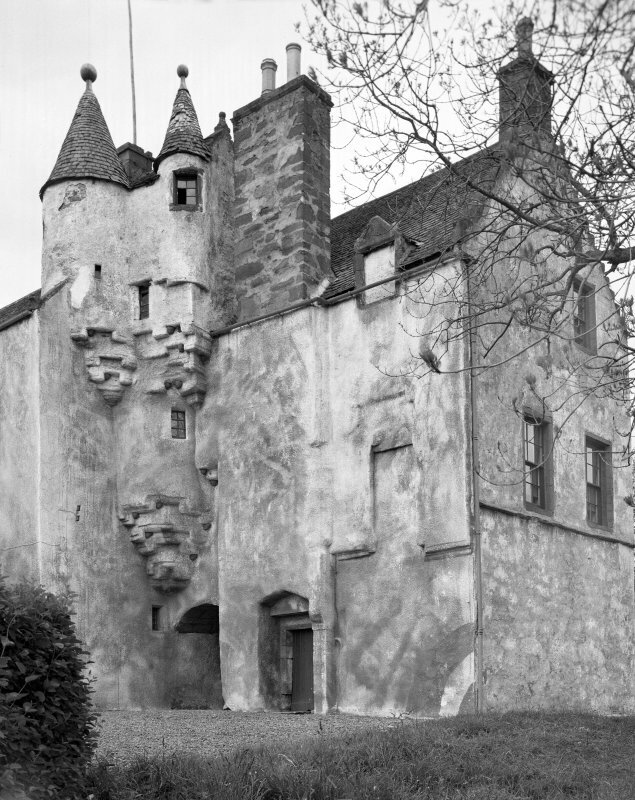 Allardice Castle. 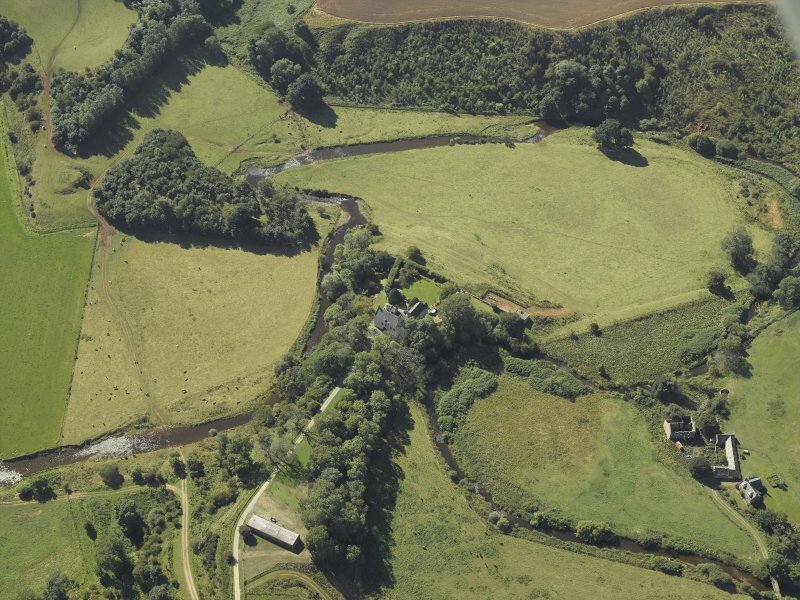 General view from North-East. 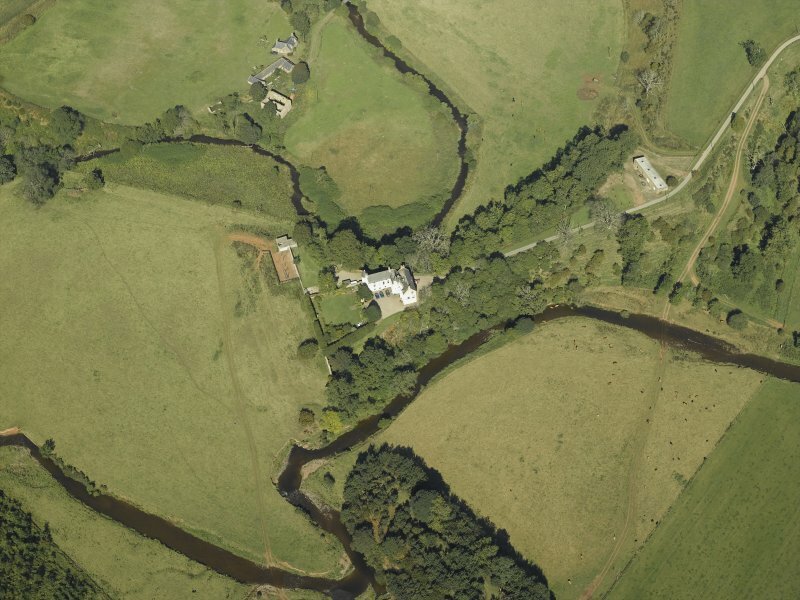 Oblique aerial view centred on the tower-house, taken from the SSE. 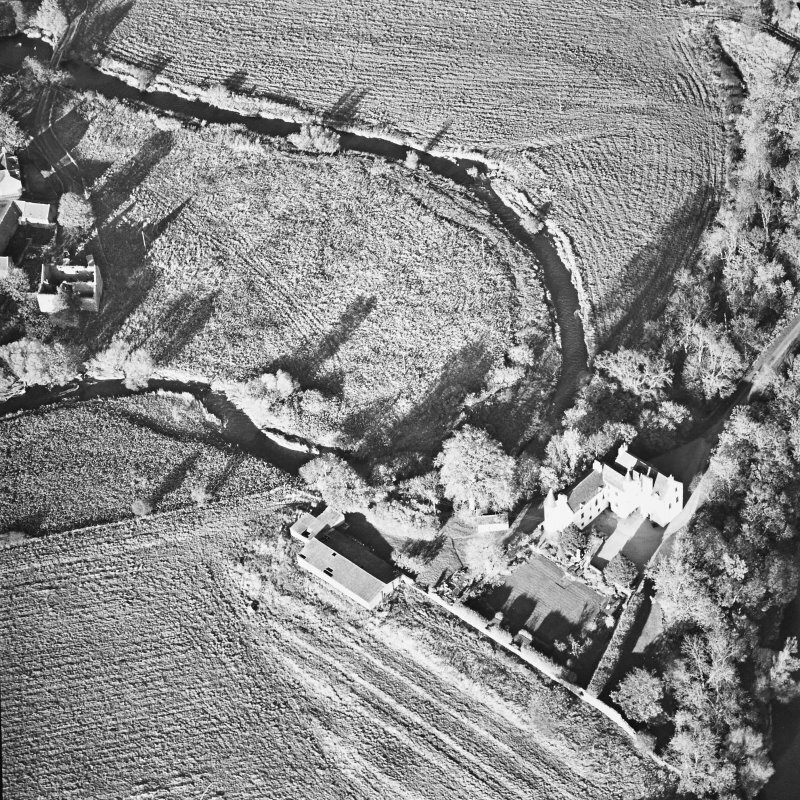 Oblique aerial view centred on the tower-house, taken from the NNE. 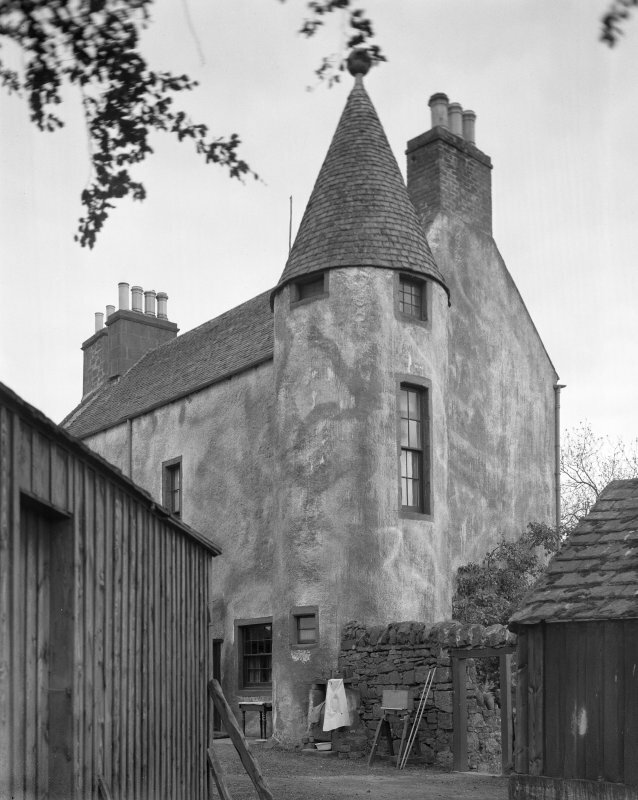 Allardice Castle. 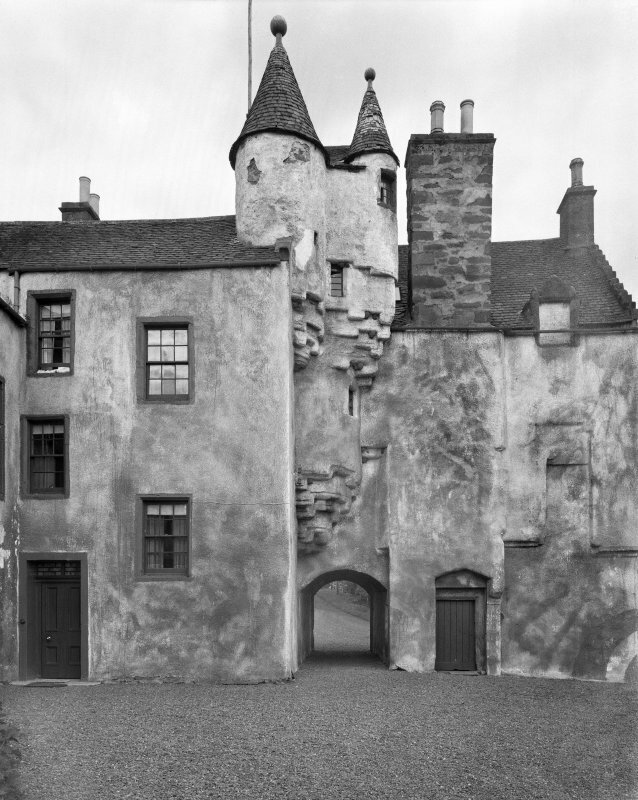 View of South-West corner tower of South-West wing. 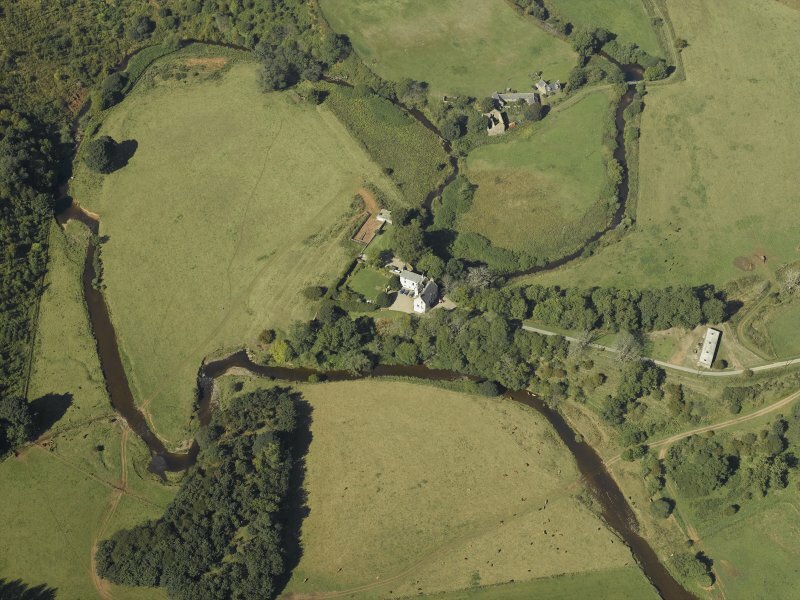 Oblique aerial view centred on the tower-house, taken from the S.
Oblique aerial view centred on the tower-house, taken from the SSW. Allardice Castle. View of South-East wing from South. View of South-East wing from South-West. 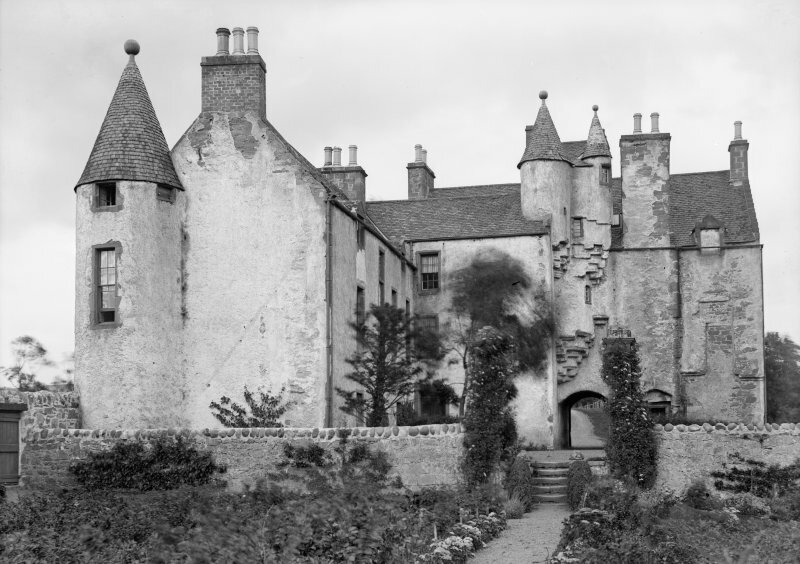 Allardice Castle. View of South-West wing from South-East. 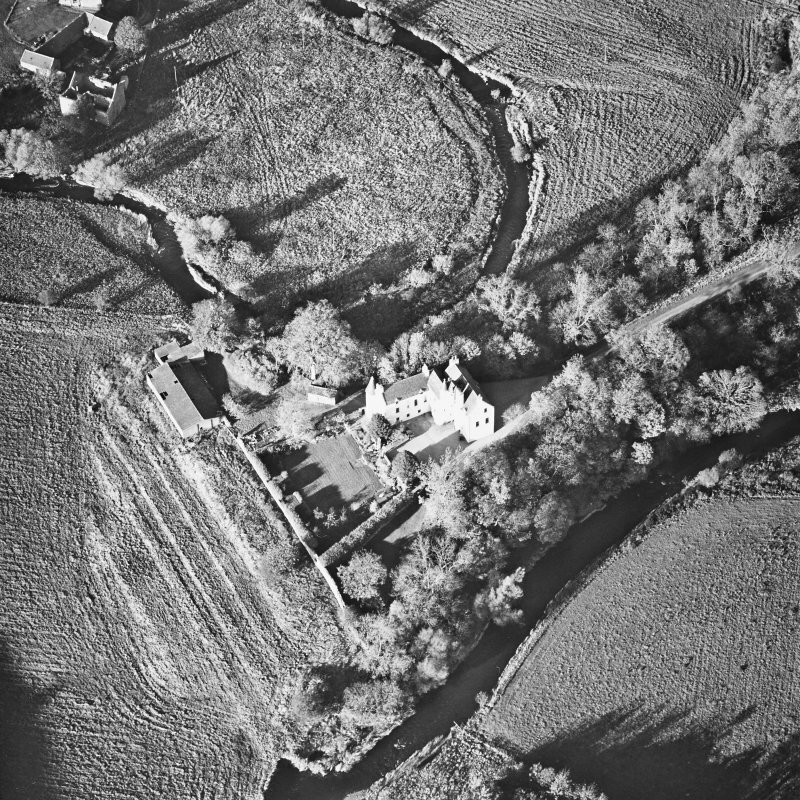 Oblique aerial view centred on the tower-house, taken from the N.
Allardice Castle. 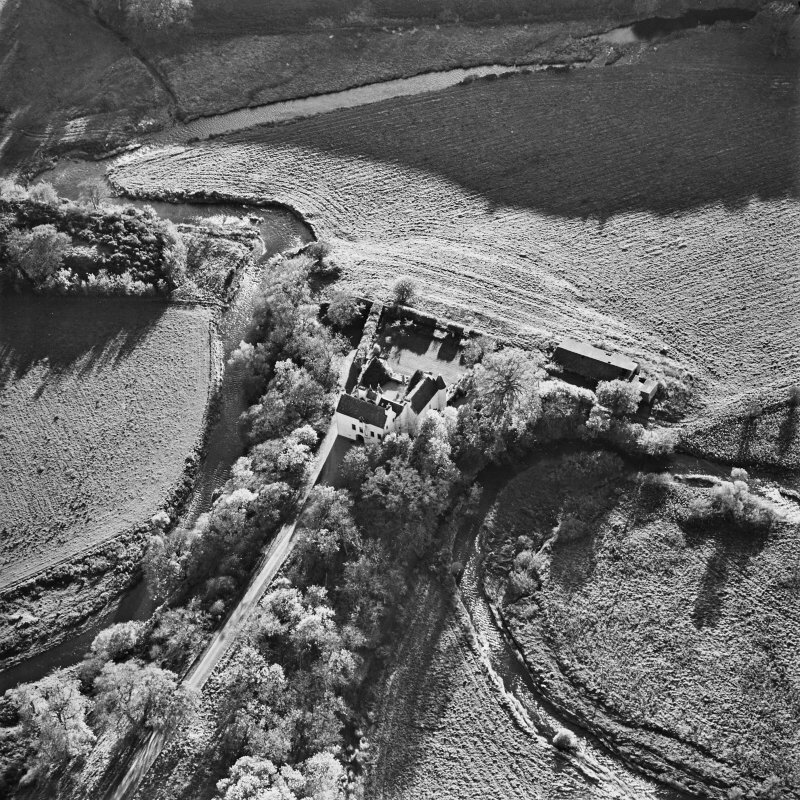 General view from South. 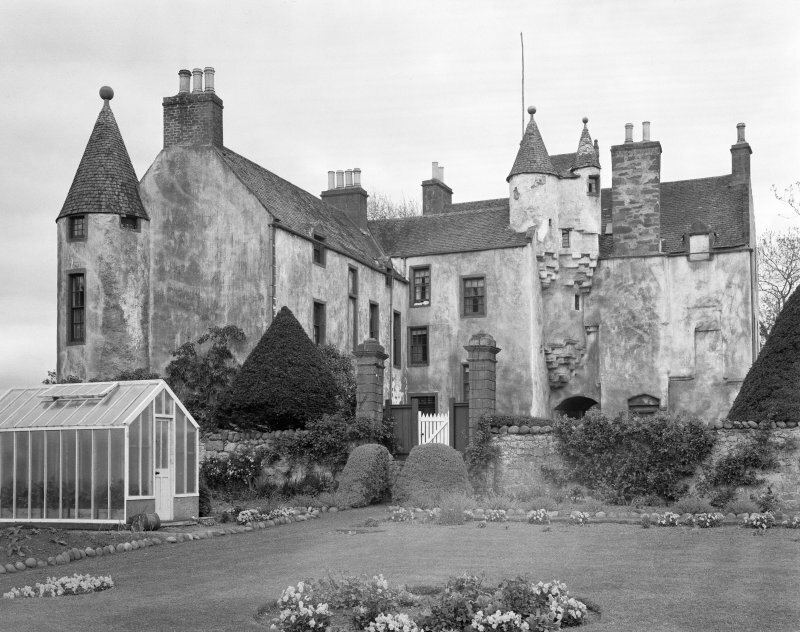 Allardyce Castle, probably built at the beginning of the 17th century, but so much altered that the original plan is no longer recognisable. The building is remarkable only for the extraordinary development of label moulding in the corbelling. 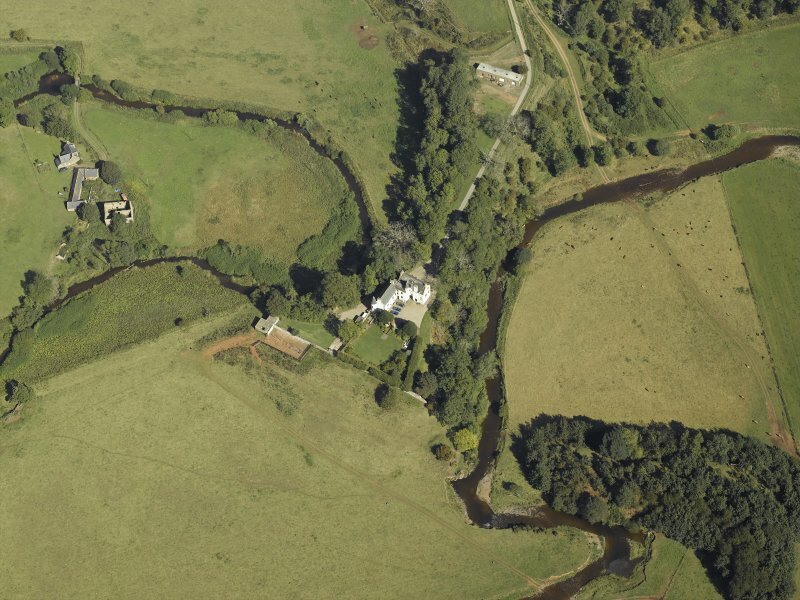 Castle of Allardice, as described, is still occupied. 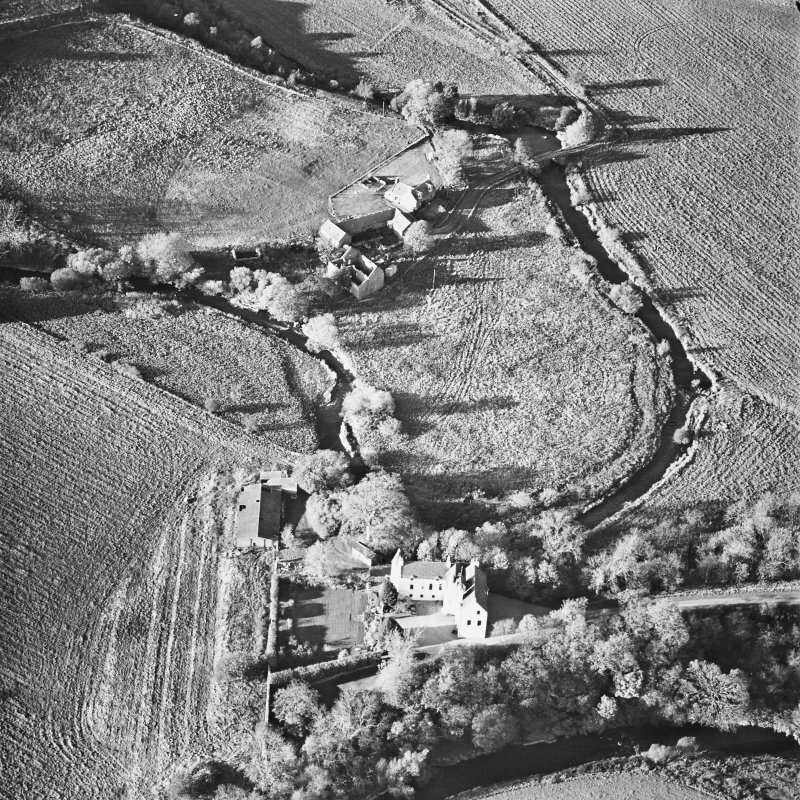 Allardyce Castle, a mansion, probably of late 16th century date, is now occupied as a farmhouse. Although giving the impression of belonging all to one period, the two wings of its original L-plan have been extended, that to the W very considerably, about a century later. 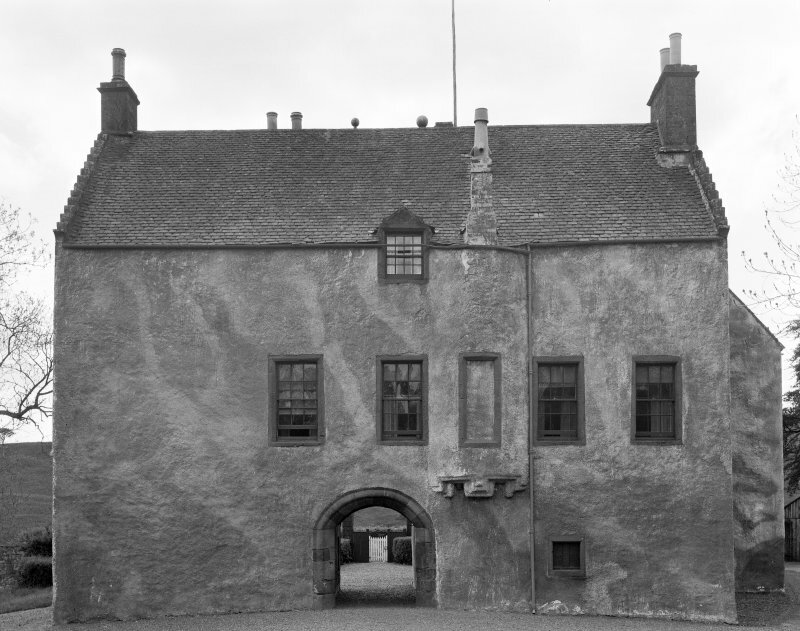 The building has formed two sides of a courtyard, the remainder of which has been enclosed by a curtain-wall, and access thereto gained by a pend through the basement of the main block. 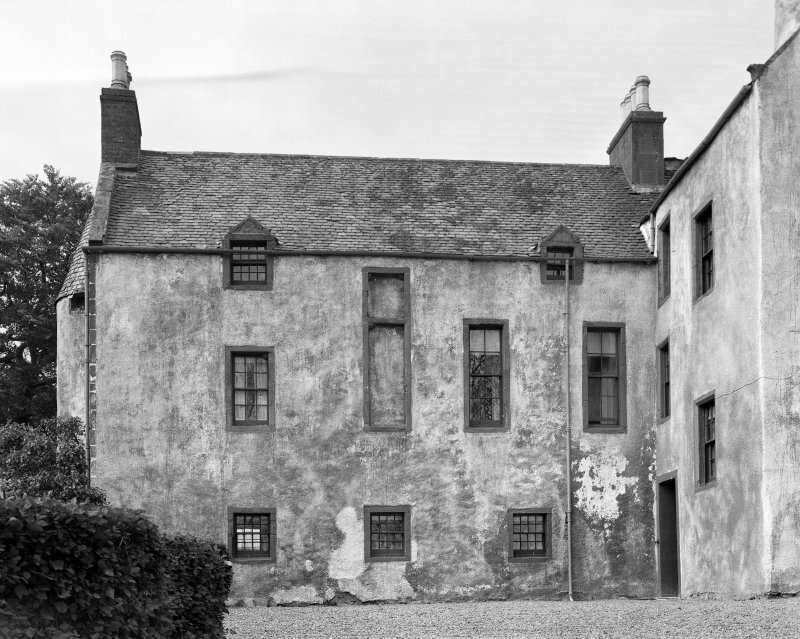 In the main the walls rise to four storeys and an attic, and are roughcast and whitewashed. The basement is vaulted. 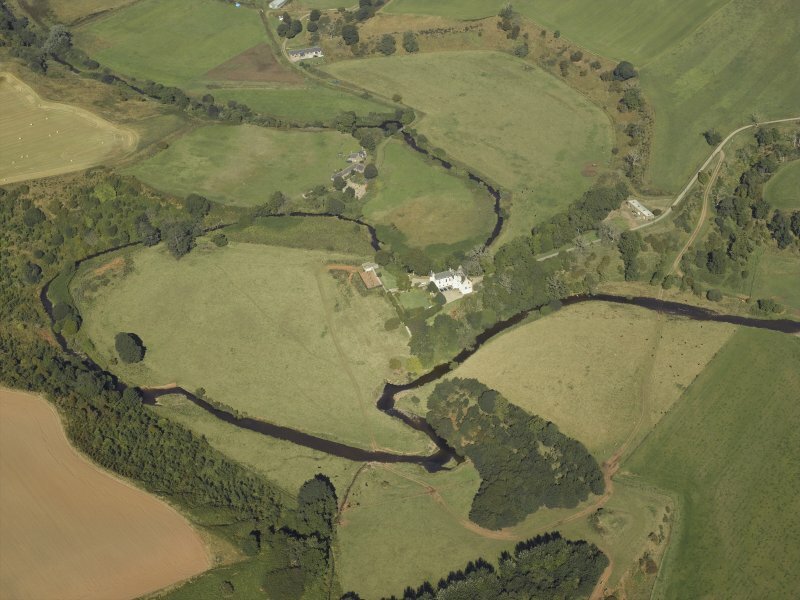 A stone built into part of the extension is dated 1695. 17th century. Very fine corbelling. Fairly small. Glasgow Architectural Association Sketch Book, vol ii, 1887. Edinburgh Architectural Association Sketch Book, 1875-6- general view.